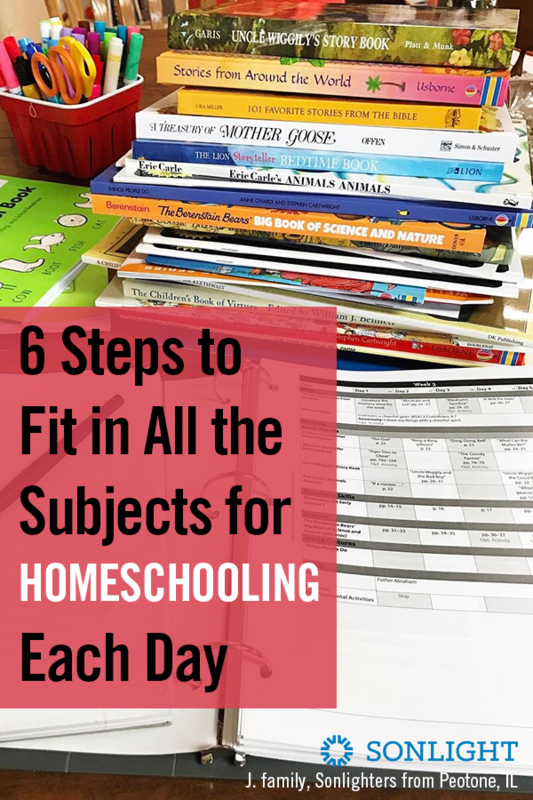 I read this article and wanted to share it with you: 6 Steps to Fit in All the Subjects for Homeschooling Each Day https://blog.sonlight.com/fit-in-all-the-subjects.html. Take things too easy and you won't finish your school year on time. Push too hard, and the kids hate school. Where's the balance? How can we fit in all the subjects? 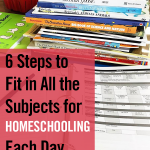 How do we cover history, geography, reading, spelling, math, science, Bible, penmanship, grammar, and electives in a reasonable day of homeschooling? Step 1: Recognize that no one does every subject every day. As you look back on your education, I think you'll see that—like me—you didn't study each subject in depth every single day. There were times when you glossed over a bunch of different subjects, briefly dipping your toes into the gentle surface of the stream. Other days, you were thrown, headfirst, into the deep raging waters of a subject. You aren't going to fit in all the subjects every single day. There simply isn't time to cover everything. That's why I say, "Don't mind the gaps." 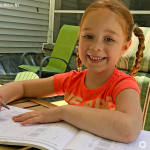 Homeschooling is great because it allows us to adjust our focus as needed. Some days your students may need a big picture overview of many subjects. 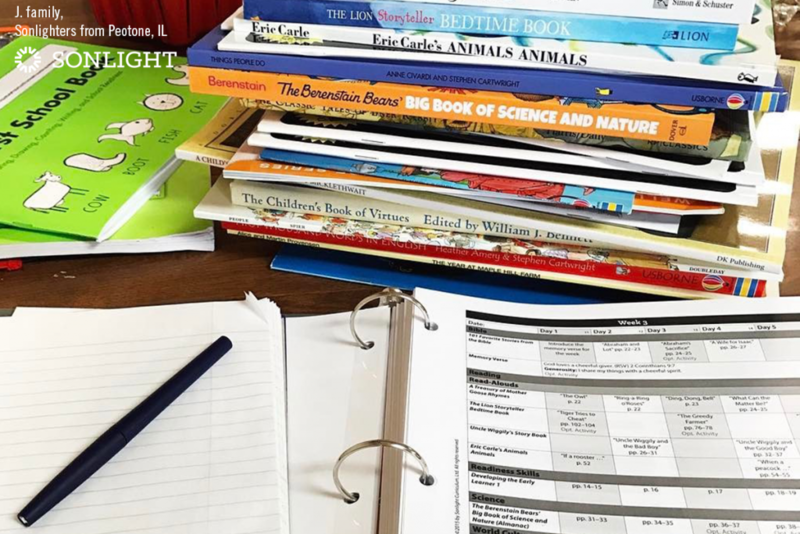 The next day you may need to plumb the depths of a single area of study and move other topics to a later day. What does this mean practically? Some families do Science on Fridays. My family made some Read-Alouds bedtime stories (and we kids didn't even realize it). One of the shortcomings of modern education is the segmentation of knowledge. In school, History is a subject; Art is another. Language Arts is a topic all to itself. But this is not how life is and, I believe, detracts from the beauty of the world and our ability to understand it. So the more you can interweave your studies, the better. 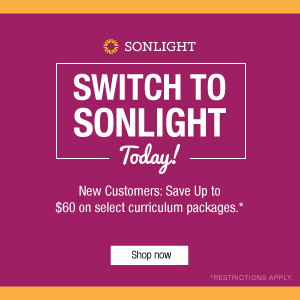 That's one reason why Sonlight links your Readers with your Language Arts and History. 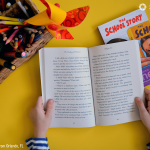 Not only does this practice help us fit in all the subjects efficiently—to practice penmanship, grammar, and creative expression all at once—but it also ties ideas together and helps us make connections. The more we can link ideas, the easier they are to remember and the better we will be at creative thinking. How do you do this? Your Instructor's Guide has much of this built in. 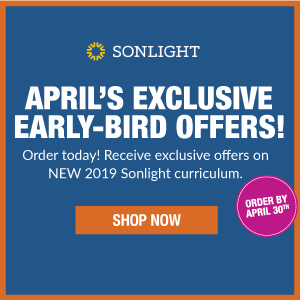 Indeed, your Sonlight homeschool curriculum links your subjects together again and again, starting with the history "spine" and building out from there. Step 3: Set deadlines or goals or consequences. I, personally, was always johnny-on-the-spot when it came to my studies. <cough> But my little brother, that brilliant guy who's in Discover & Do and MathTacular, had other interests. My wife admits to being similarly distracted and unmotivated. 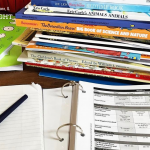 If you have students who aren't thrilled to accomplish their tasks each and every day, having a routine can help. Consequences can motivate as well. In my family, my mom read to us after lunch. If we weren't done with our studies before then, we'd have to go back to the books after reading instead of going out to play. There was also a goal to have certain work completed by snack time at 10 a.m. Step 4: Take your time. Somewhere in the middle of my high school experience, schools in my area began experimenting with a different scheduling option. They, too, were struggling to fit in all the subjects. 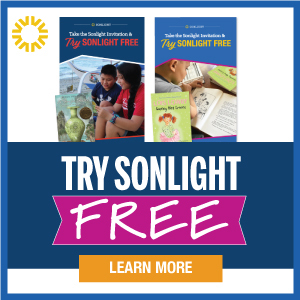 And if schools can tweak their schedule to accommodate their students, you can too. 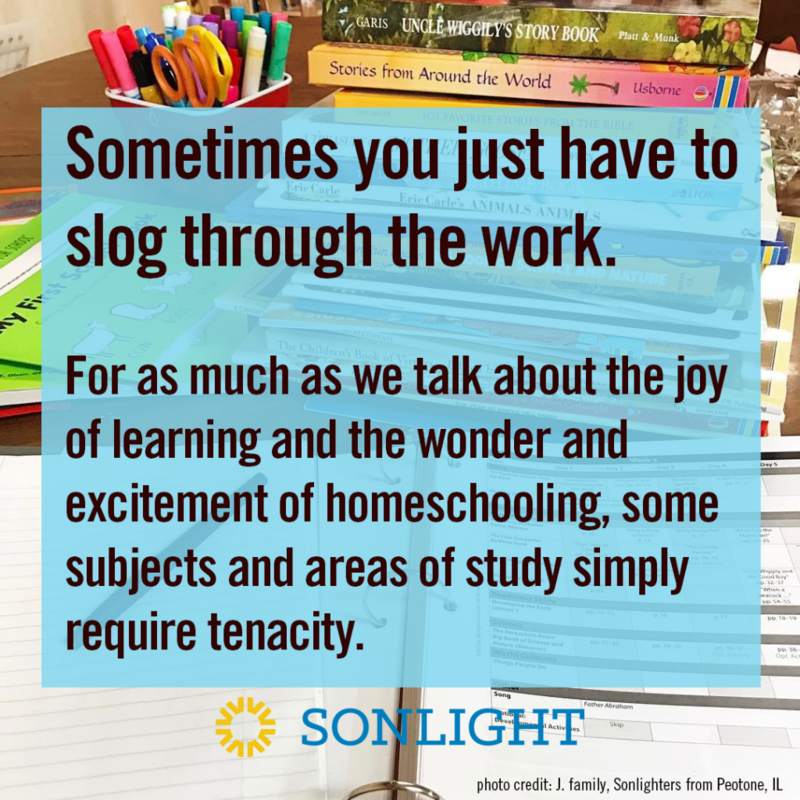 Some homeschoolers study all year, taking breaks as needed and keeping their days manageable. 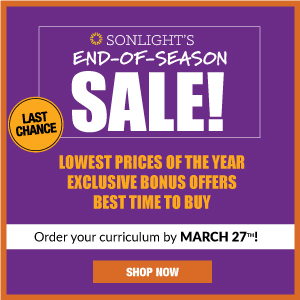 Many Sonlighters take a year and a half to complete their History / Bible / Literature program. (Yes, there's that much great content in each program.) Others school throughout the day, breaking up their daily routine to meet their needs. Sometimes you just have to slog through the work. 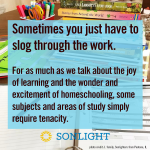 For as much as we talk about the joy of learning and the wonder and excitement of homeschooling, some subjects and areas of study simply require tenacity. For us, it was spelling. We needed to improve our skills, so we did short spelling tests every day. It wasn't fun, but we needed it. Step 6: Remember the goal is lifelong learning. Something that helps me keep everything in balance is to remember that the goal isn't a fun day of school. 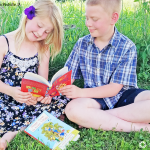 The goal is developing a lifelong love of learning. I can tweak my schedule, adjust my studies, and push myself through frustrating situations because I love learning. I don't love every moment, but, overall, I'm thrilled to learn. 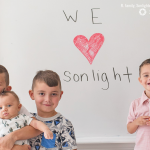 ﻿Experience what it's like to use Sonlight. 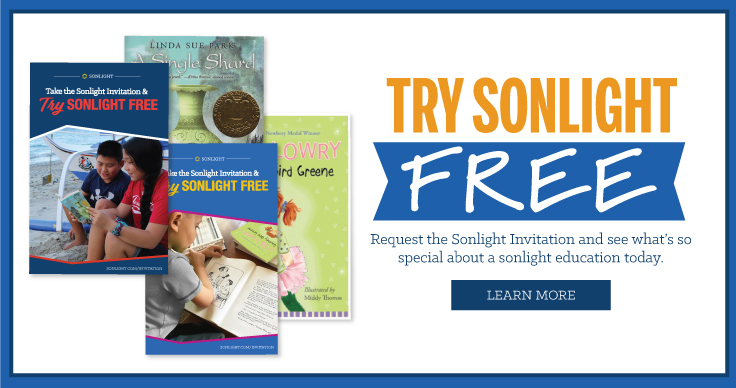 Request your FREE book and schedule here.